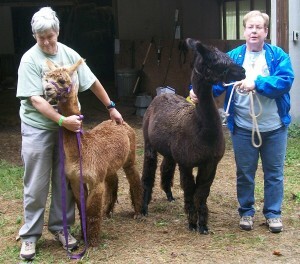 Two more of our sweet alpaca boys moved to a new farm on Wednesday. Ten Ten Ten (known as Thirty around here), a beautiful junior herdsire from our Sunrise Surprise and a 5 time Color Champion sire, and Trixter, a fun loving gelding, will be joining the farm of Pat and Felice. They will share the farm with a white alpaca named Shaggy and several other types of animals. As always, we will miss the boys, but know they will enjoy their new farm and be well loved. We still have some great pet/fiber alpaca boys for sale at our special two boys for $750 (more details here). For those looking for breeding males and females, we have some wonderful boys and girls on sale now as well. 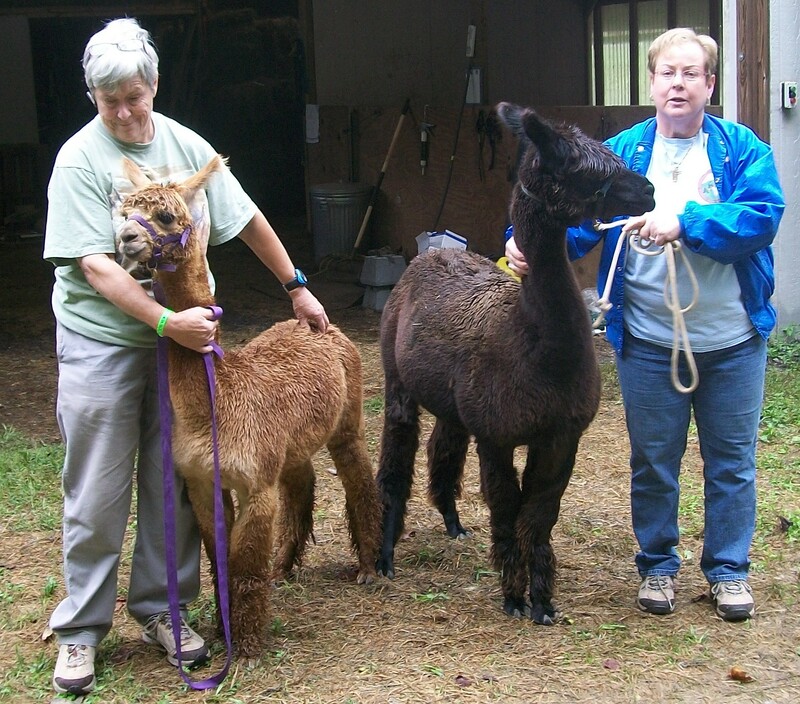 Check out our listings to see which alpaca would be right for you, and then give us a call or email to set up a time to come meet them in person.